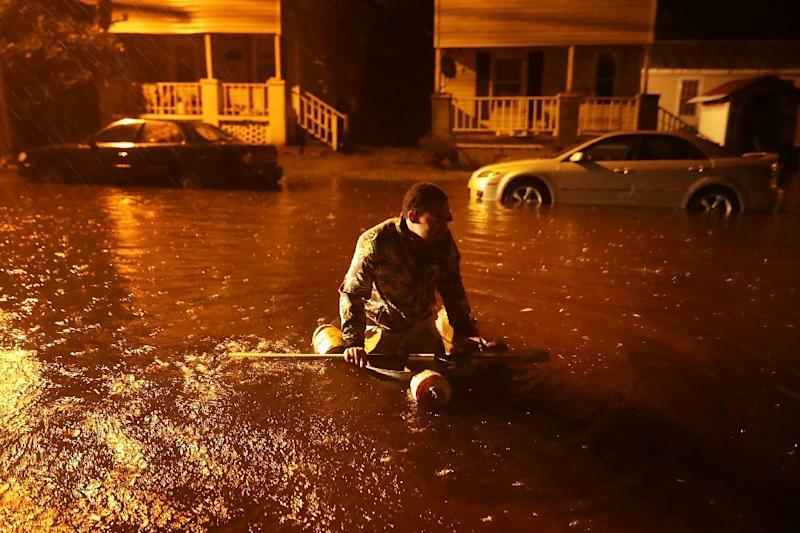 Wilmington (United States) (AFP) - Emergency crews in North Carolina scrambled Friday to rescue hundreds of people stranded in their homes by flood waters unleashed by Hurricane Florence. Video footage showed parking lots in New Bern turned into shallow lakes of dirty gray water as heavy rain fell. New Bern Police Lieutenant David Daniels said early Friday morning that between 150 and 200 people had been rescued so far, with others still to go. Two rescue teams from the federal disaster relief agency FEMA were on the job and others were on the way. "Currently ~150 awaiting rescue in New Bern," City Hall said on Twitter. "WE ARE COMING TO GET YOU. You may need to move up to the second story, or to your attic, but WE ARE COMING TO GET YOU," it added. Resident Peggy Perry told CNN she was "stuck in the attic" along with three relatives in her New Bern home. "In a matter of seconds, my house was flooded up to the waist, and now it is to the chest," she added. More than 60 people meanwhile were forced to evacuate a hotel in Jacksonville, North Carolina, after part of the roof collapsed, city officials said.